We understand that finding the right spot to build your new home can be time consuming and frustrating. Through our extensive experience in regional South Australia and our strong relationships with developers, land agents and councils Sarah Homes can help simplify the process for you. Speak to one of our consultants about the land we have on offer or about your particular requirements. We have access to local knowledge and land almost anywhere in South Australia! Nestled in the picturesque Hindmarsh Valley just over an hour drive South of Adelaide, Greenhills is the perfect place to kick-start a relaxed and stress-free lifestyle. All amenities are within a 10 minute reach – sometimes by car or bicycle and other times by foot. Greenhills offers excellent value for money and more space to play with an average allotments size of 500m2. Greenhills’ streets andreserves have been designed to promote recreation and relaxation, with surrounding lakes and creeks offering natural borders from the hills beyond. 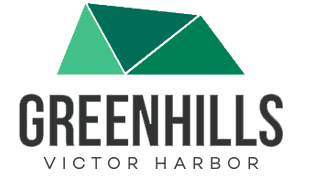 Find out more details on Greenhills. Riverside living at its absolute best and just a little more than an hour’s scenic drive from Adelaide, Mannum Waters is 178 hectares of exciti g, exclusive community development and land release nestled alongside the picturesque banks of the River Murray. A once in a lifetime opportunity, riverside living this close to Adelaide may never again be on offer. Find out more details on Mannum Waters. Sturt Ridge - On an island, in the river, by the sea. Discover the best of what these worlds have to offer and turn your dreams of coastal living into reality at Sturt Ridge. Built on premium land on Hindmarsh Island, in minutes you could be wandering the beautiful beaches, basking in the stunning river views or exploring the breathtaking Coorong National Park. It's the perfect place to take up sailing, find that hidden gem of a fishing spot or just unwind and enjoy the relaxed lifestyle. Find out more details on Sturt Ridge.